If this is your first time to the site you may want to sign up for my rss feed or join me on Facebook. Welcome to Paradise, Paradise Lagoon to be exact (Lagoa Paraiso means Paradise Lagoon). 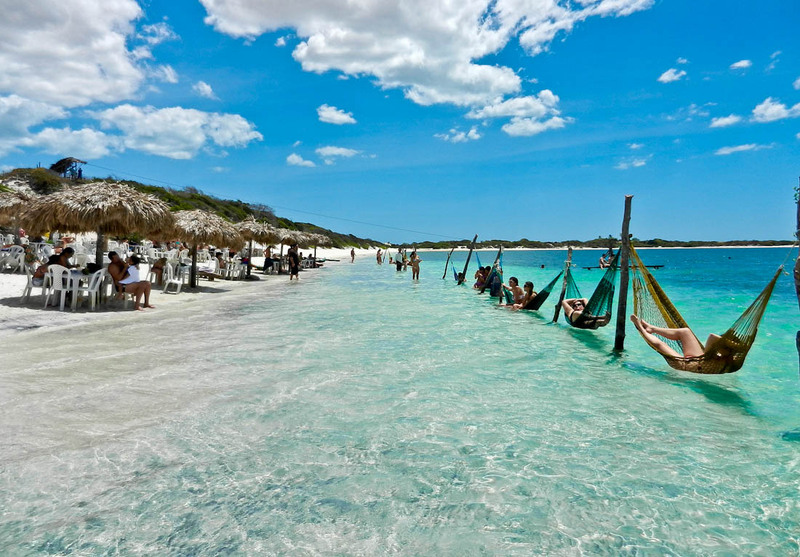 The lagoon is part of an extensive set of lagoons that are found in the area near the city of Jericoacoara, Brazil. I recently traveled through the entire coast trying to visit every beach in between that was worth visiting and this was a pleasant surprise. I got such a great reaction of the previous picture I decided to do an entire photo essay! 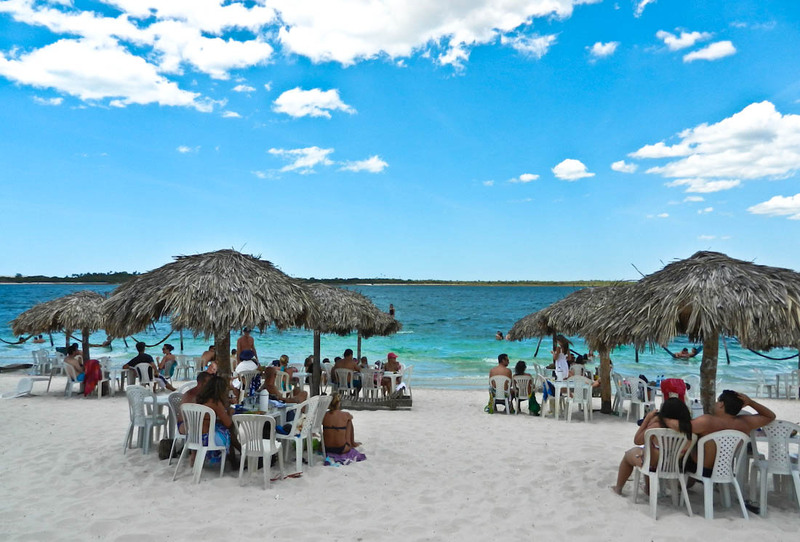 The lagoons are freshwater and can be found via a buggy ride on the beach. With Brazil becoming a hub for travel and overseas investment I am going to be looking for properties on one of these lakes. I don’t think that anyone would think twice about buying property here. View from when we first walked out onto the waters of the lagoon. We were able to get a waterfront seat and enjoy lunch while we soaked up some sun and also enjoyed the view. If you see in the distance there is a zip line that you can take from the small hill to the left. We opted not to take the zip line because you just zip into the water. We plan on returning when they build a zip line where you can actually jump into the water rather then being strapped to the seat. Far into the distance there is a resort where you can say and tons of pousadas (family style hostels) that are a great bargain. Overall it was a great experience and I would do it again in a heartbeat. Click here for more pictures of the Jericoacoara area and check out the top 5 section for more things to do in Brazil & around world. Wooow! Beautiful! The water is so clear! It definitely looks like paradise to me! I’m planning a trip to Rio de Jianero this coming March. Can you suggest inexpensive lodging that is within reasonable reach to activities and sight-seeing? Fantastic! always wanted to travel to the Nordeste brasileiro. Magazine-cover beaches! Absolutely gorgeous. Adding this slice of “Paradise” to my bucket list! this looks like I place where I fear ” investment” would equal “spoilage” . It looks so beautiful in it’s natural state….a true getaway! Some lazy time in a hammock over that clear water, looks delightful. Great photos and looks like a real awesome place! Hi Mark I always enjoyed reading your blog!! I visited Bangkok in the spring I had a great time and really enjoyed the great food diversity 🙂 Do you Day trade also or just happen to come across this site? Marcello I’m missing your idiomatic videos feat. hot chicks!! Im sold! This place is beautiful. 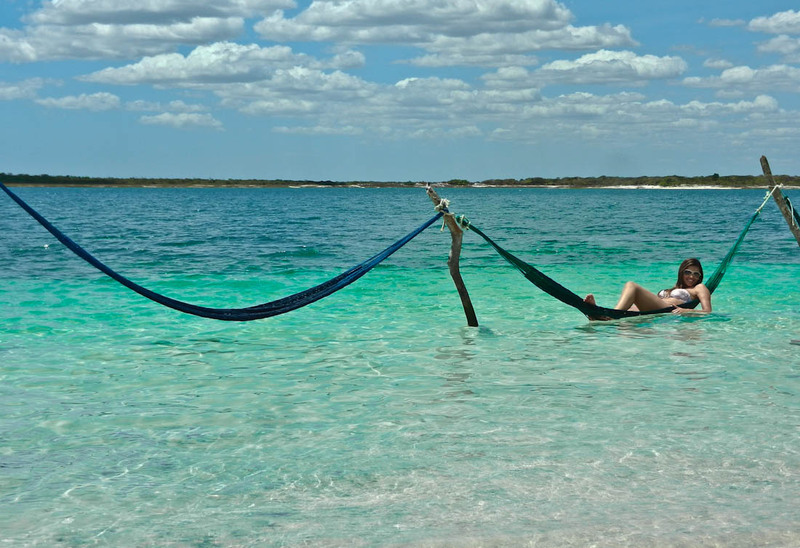 Laying in a hammock in the water sounds like a dream! I want to go zip lining in Brazil for sure one day. You mentioned you may buy property there, will you rent it out when you are traveling? How are the hostels in Brazil? Price, safety, etc..? I would live here in a second! Beautiful! Wow, your photos are making me drool, and making me want (NO, NEED!) to go there! Ah, so nice! Great photos! Jeri is more known by kitesurfers. But I believe that the demand for Jeri is increasing by other markets too. Great pics, it looks amazing. Never been to Brazil , now on my bucket list. What is the ocean life like there? Good for scuba? Great article! I LOVE Jeri! 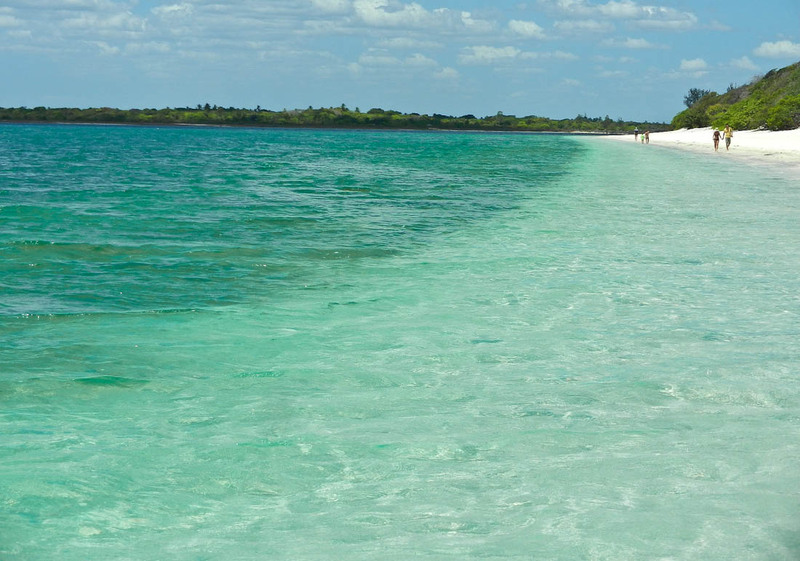 The dune buggy ride to the freshwater lagoons is something not to be missed! Wow Enjoying the beaches of the world. Beautiful friends to meet. Fantastic! 20 years ago I was enjoying the blue lagoon in Bora Bora the same way. Now paradise has gone a lot of hotels and you can’t see the fishes anymore in the before so clear water. So enjoy it now. I’ve always heard great things about Northern Brazil but geez that water looks great. looking at ecuador and colombia do you have past blogs with information? been to more countries than anyone you ever met i bet! i know markets well but not how to trade. how much can i make a month? interested in 6 figure s a month. possible? Pretty awesome place, reminds me of Malaysia! I’d never thought to travel to this area of Brazil but it’s definitely going on the list. And you’re right, I’m sure it makes plenty of sense to purchase property down there. If you do, I hope you write a post about it…. Talk about living in paradise! Great photos! Yeah, it’s a ”paradise”. So , nevertheless don’t forget 2 tell people how they got there. After a flight 2 Fortalëza , there is a long way 2 Jericoacoara , and the road is very bad after some point. But , notwithstanding the view worths the time that you take to arrive there. Marcello, did you also go to Canoa Quebrada, which is 2-3 hours east of Fortaleza, abt. half-way to Natal? Excellent dunes, cliffs and pousadas, international settlers. 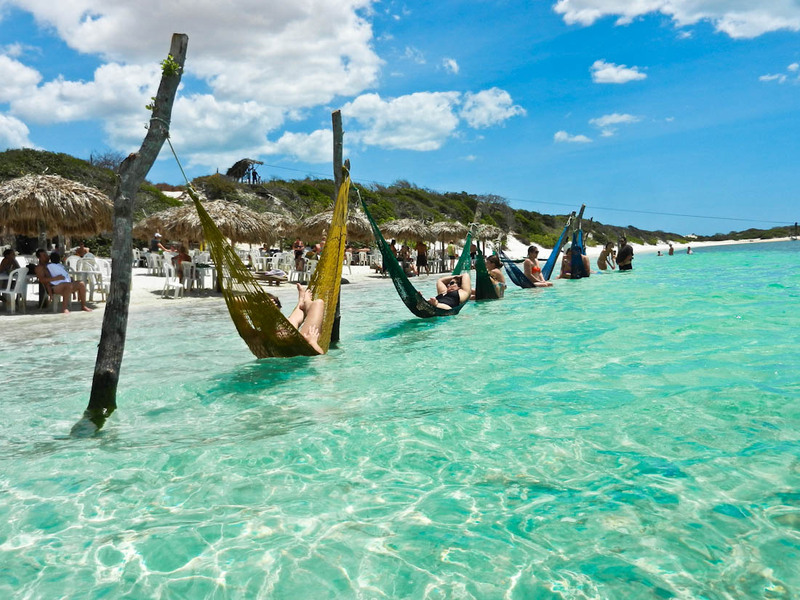 I have been here on the way to Jericoacoara and I absolutely LOVED it, especially the hammocks in the water! I wish there were hotels nearby so I could stay a day or two and just relax.